FREE Nivea Lotion w/ Coupon! This freebie will pay for tomorrow's newspaper itself, so you may want to get a few extra papers! 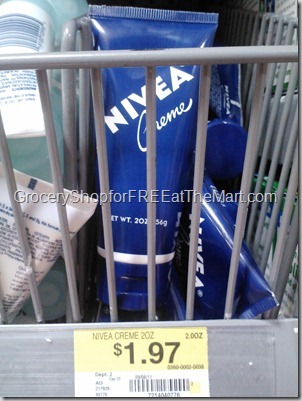 You can score free Nivea lotion at Walmart. Thanks for the head's up and photo, Grocery Shop for Free at the Mart!